compensation: $12.50-$16.50 when you include shift/temperature/weekend differentials. Also, we pay weekly performance incentives as well. Warehouse Workers: $2,500 Signing Bonus, New Pay Rates & Productivity Incentives! 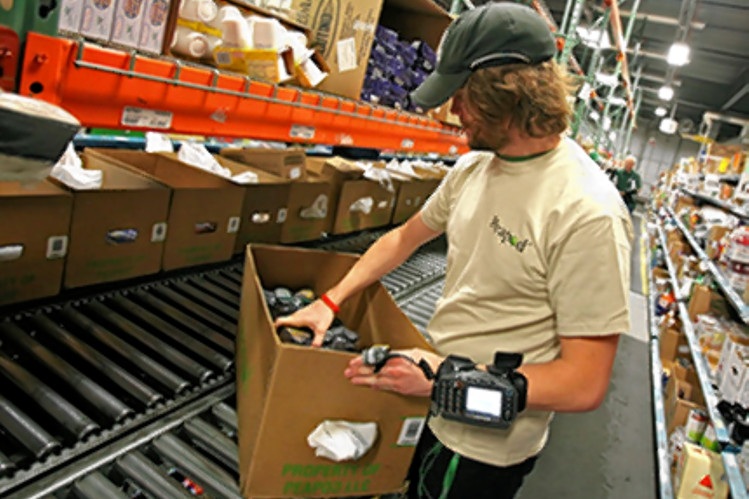 Start a great career with Peapod as a warehouse associate in our Lake Zurich, IL distribution center. At Peapod, we are doing more than just putting groceries into boxes, we're feeding families...and with 30 years of experience you know you are making the right choice! Our customers trust us to select, pack and deliver the freshest and highest quality products and we can't do that without you. We are looking for outstanding team members to Amaze and Delight our customers in the Midwest. These are fast paced, physical positions that will involve working with grocery items/orders, lifting and carrying (up to 50 lbs), with standing, walking and working in varying temperature zones (ambient, cold, and frozen). Our full-time employees enjoy a number of benefits including paid training, regular pay increases, growth opportunities, paid time off, grocery discounts and more! We offer a signing bonus of $2,500 and competitive starting pay with added incentives based on temperature/area, night time work, and weekend work, plus performance incentives for many of our roles. Whether you are looking for part time, full time work; first-, second-, or third-shift work, if you are shopping for a good job with good income potential, it's time to check out Peapod.